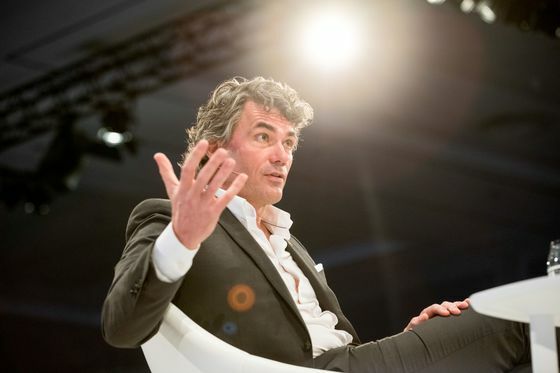 (Bloomberg) -- Gavin Patterson wooed shareholders early in his tenure as chief executive officer of BT Group Plc by taking the former phone monopoly into the modern era. He leaves on a low, after failing to solve discord with regulators. Patterson, a former marketing director with Proctor & Gamble Co., rose to the top job in September 2013 after almost a decade in BT’s consumer unit. He won favor with shareholders by doubling down on a new pay-TV business and with a foray into mobile. A series of regulatory challenges and an accounting scandal in Italy has erased that goodwill. Since spinning off what later became mobile carrier O2 in 2001, BT lacked a wireless unit, a weakness that became increasingly problematic as consumer behavior and spending shifted to mobile devices after the advent of the smartphone in 2007. A wireless offer was crucial to giving customers bundled services to keep them loyal. In late 2014, BT started talks to buy EE, Deutsche Telekom AG and Orange SA’s British wireless venture -- the U.K.’s largest wireless operator. BT closed on the 12.5 billion-pound ($16.7 billion) purchase in 2016, allowing the carrier to sell packages of mobile, TV, home phone and internet services. At the time, Patterson said the deal let BT take charge of its own destiny. Patterson oversaw BT’s continued push into acquiring premium sports rights to help lure and retain broadband subscribers and eventually offer service bundles of internet, TV, landline phone and mobile. A bidding battle with Sky Plc in 2015 saw BT nab key Premier League rights, contributing to a 30 percent spike in price at the auction. Things took a turn for the worse for Patterson in 2016, when BT started an investigation into inappropriate management behavior at its Italian unit. The carrier booked a charge of 145 million pounds in its second-quarter results in October 2016. Three months later, the scandal had ballooned. BT suspended senior managers tied to the issues while Italian prosecutors opened a criminal probe. The company said a complex set of improper sales, purchase, factoring and leasing transactions had left a hole of 530 million pounds at the unit. The accounting debacle, along with a slowdown of BT’s global services business, prompted a profit warning from Patterson. While Patterson was contending with the fallout from the accounting mess and the slump in the IT business, he was also battling a campaign from politicians and regulators seeking a large-scale buildout of fiber-optic lines to boost Britain’s internet speeds -- a move that would cost BT billions. Ofcom, the communications regulator, was also reviewing a separation of BT’s Openreach network to secure better service standards and equal access to the wholesale grid for competitors such as Sky Plc, TalkTalk Telecom Group Plc and Vodafone Group Plc. After a yearlong dispute, Ofcom in March 2017 forced BT to split Openreach into a separate legal entity. BT faced another two blows from the regulator that month: It was hit with a record 42-million-pound fine and ordered to reimburse competitors 300 million pounds over poor service from Openreach. Then, the regulator imposed price cuts on the wholesale rates Openreach could charge other communication providers, denting BT’s revenues for years to come. A “new face at the table” could allow for improved relations with the government and Ofcom, Dhananjay Mirchandani, an analyst at Bernstein, wrote in a note.